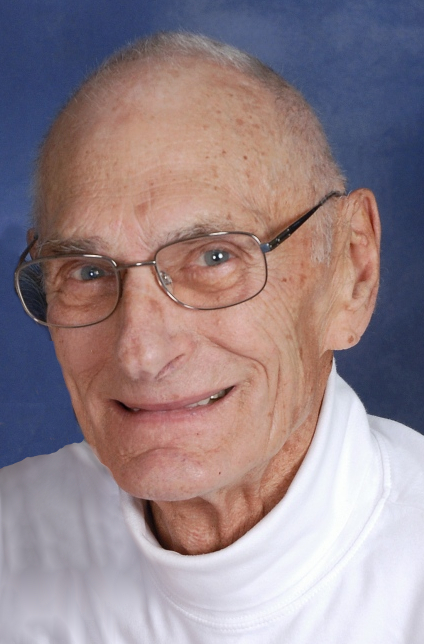 Thomas Murphy Anderson, 87, of Liberty, MO, passed away March 15, 2019, at home surrounded by loved ones. His funeral service will begin at 10:00 am on Saturday, March 23, at Hosanna! Lutheran Church, 2800 North Church Road, Liberty, MO 64068. A reception for friends and family will follow at the church. Interment will be at 12:30 pm Saturday at Glenridge Cemetery. In lieu of flowers, memorials are suggested to the church (address above). Tom was born October 9, 1931, in Strong, Arkansas, the youngest of 11 children of John and Katie (Duke) Anderson. He grew up on the family homestead learning strong work ethics which followed his life's journey. His careers included selling land pumps, Air Force veteran, radio DJ, technician and recruiter for AT&T and lawn service business owner. One of his most treasured memories was working with Mission Builders and other congregation members in building Hosanna! Lutheran Church in Liberty, where he was a very active member. Along with his parents, Tom was preceded in death by his ten siblings. Survivors include his wife of 67 years, Phyllis (Naumoff) Anderson; children, Cindy Plesko (Mike), Tommy Anderson (Janet) and Dan Anderson (Winona); grandchildren, Rebecca, Rachel, Luke, Chris, Kyle, Derek and Bethany; great grandchildren, Trevor, Caleb, Harper, Gillian and Scarlett; as well as many nieces and nephews. Tom loved family and entertaining others. Relaxing was working outside, sawing, drilling or hammering anything he could think of making! He was always on the move. Funeral services will begin at 10:00 am on Saturday, March 23, at Hosanna! Lutheran Church, 2800 North Church Road, Liberty, MO 64068. A reception for friends and family will follow at the church. Interment will be at 12:30 pm Saturday at Glenridge Cemetery. I am filled with such a mix of emotions. Uncle Tom will be greatly missed by so very many people. Yet, it is so truly wonderful to know that he is no longer suffering. What fond memories I have. One that keeps crossing my mind is when I brought my friends to visit the family in Papillion, NE and we all sat together down in the family room as he played the guitar and sang for us. Oh, and making ice cream for the 4th of July celebrations. I could go on an on. Love to all of the family. God be with you all. My warmest hugs and condolences to each and every on of you. Love to our family. G.Uncle Tom will be greatly missed. His face when he would be playing a joke is what I see in my minds eye when I see him. He always became the handyman anytime it was needed. Love, kisses and hugs to you all. Tom you are missed greatly. My heartfelt sympathy for your loss..
Tom was one heck of a guy! I will never forget the tremendous work, sweat, and love he put into the building of Hosanna! so that we might all gather together as family in Christ. May your hearts be at peace knowing that he is forever resting in the arms of our God. Love you.